The New Orleans Pelicans (26-46) host the New York Knicks (30-44) tonight in the Smoothie King Center, tip off is for 8/7CT. Alvin Gentry is finding it hard to field a team these days, he is up to 35 different starting lineups used and the team is up to 253 games missed to injury by its players. New York meanwhile has finally, officially been eliminated from the Playoffs, a benchmark just around the corner for the Pels. New Orleans has pulled the plug on the season, but to be fair it wasn’t all that difficult a decision. No Davis, no Evans, no Anderson, no Gordon, still no Pondexter, maybe no Cole, and maybe no Holiday (both are questionable tonight). But “tanking” doesn’t mean that the remaining games are meaningless. 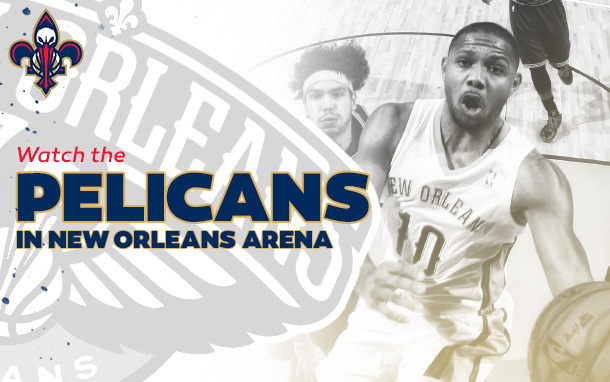 The Pelicans have 5 teams right behind them … wait, or is it in front of? … There are 6 teams within 6 wins of Pels, who now have just 2 more wins than the 5th (from the bottom) ranked Minnesota Timberwolves. New Orleans also happens to play the Wolves their last game. The end to the season could be as close a race as last season was for the 8th spot, albeit much less exciting. The newest Pelican to step up for the injured masses, shooting guard Jordan Hamilton, got 24 minutes in his debut against the Toronto Raptors Saturday night, registering 11 points on 50% shooting. The Pelicans have had some of their down-the-pecking-order players put up decent stat lines recently: Alonzo Gee had 18 points and 8 rebounds on 8/12 shooting against the Raptors in 41 minutes, Luke Babbitt had a season high 23 points on 10/19 shooting just 6 days ago. Tim Frazier has been a nice pick up to the Pels as well. Since putting on a New Orleans uniform Frazier is shooting over 50% in 26 minutes a night, putting up 14 points, 5 assists, and 3 rebounds. Even Omer Asik has put in some decent performances, averaging 8 points and 11 rebounds in 24 minutes in the last 4 games. These performances haven’t translated to wins but they have kept the games competitive. The Pels even managed to upset the Clippers last Sunday, though most would rather lose expected losses at this point. Tonight is just another opportunity for Frazier, Hamilton, and others to make an impression on the coaching staff, the front office, and the fans to be kept around for next season. And of course, with Minnesota matched up with Phoenix tonight, it is a chance for the Pels to move within one win of a bottom 5 record.